Any content on your webpages that is subject to change, is classified as dynamic content. Such content becomes out-dated unless it is frequently updated. For instance, every time you launch a new product, it should be added to the product portfolio page. Or every time a customer says something nice about your product, it needs to be included on the customer testimonial page. Dynamic content is the easiest way to keep your content up to date, without having to deal with HTML. 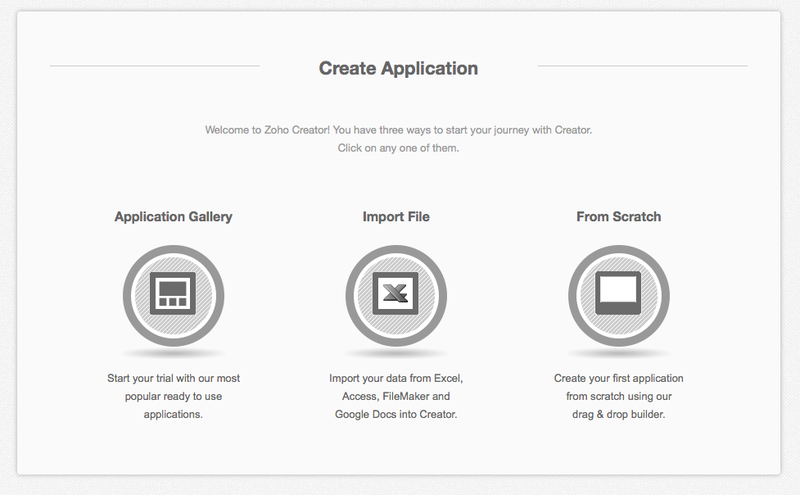 Dynamic Content is powered by Zoho Creator databases. All your webpage content is stored on a database, and the database is linked to your webpage. Every time content is modified on the database, the changes are instantly updated on the webpage. 1. 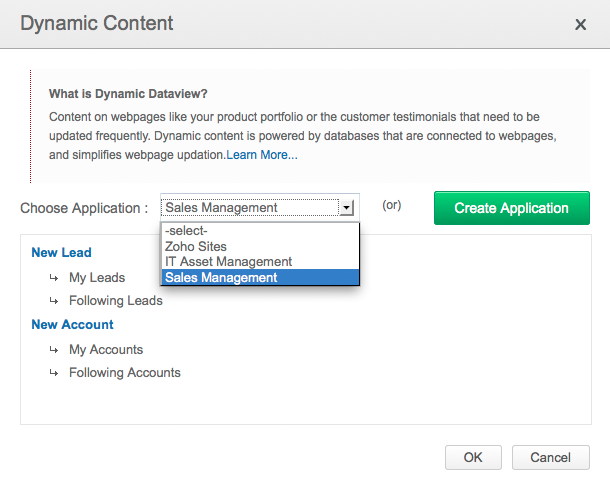 Drag the "Dynamic Content" widget to the area on your page where you want to frequently change the content. 2. A dialog box appears with a list of all your databases. Select the appropriate application, and the database within that application which holds your data. Click on OK to proceed. 3. 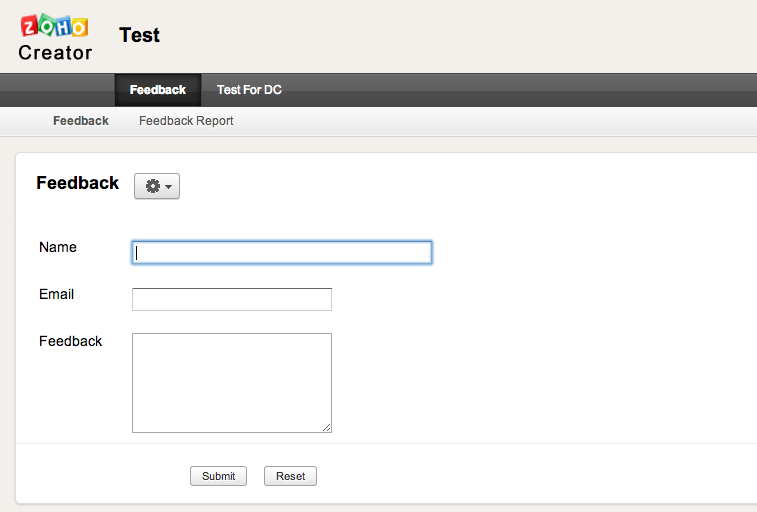 Next, you need to configure the layout of the dynamic content; how data should be arranged on your webpage. The layout page has 9 cells, into which you can drag the fields from the left. You can also merge or split cells to align your content the way your want it to appear on your published webpages. 4. Once you have configured the desired layout, save the view, and return to the site builder to publish your webpage. Your database has been linked to your webpage. As you enter data into your database, it will instantly be displayed on your webpage, in the desired layout. The databases behind dynamic content are powered by Zoho Creator. 2. Click on one of the options as per your need. To start with a new app click 'From Scratch' button. 3. 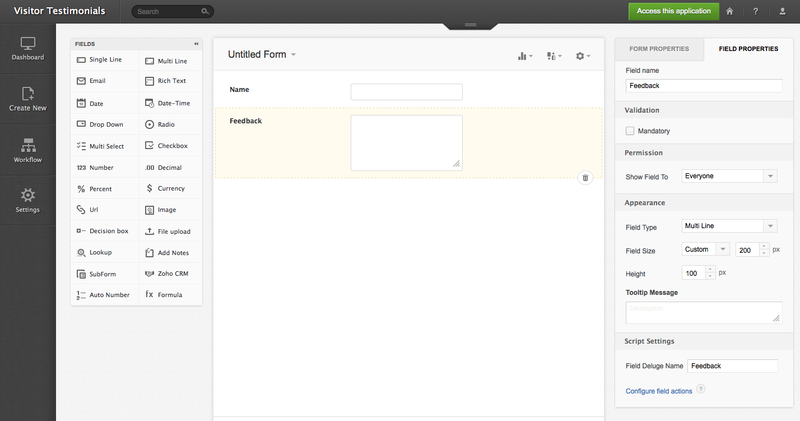 Specify names for your application and form, and click on Create Now button. 4. You'll then be taken to the form builder. All the required fields will be listed on the left. Drag and drop the necessary ones in the builder on the right, and specify a label name. 5. After adding all the required fields, click on Access this application. This will take you to the live-mode of your database. You enter data into the database from this mode. 2. Click on the application from the list. You'll be redirected to the live mode of the database. This is where you enter data into it. 3. If you have invited authors to manage your webpage content, you can share this database with them, so that whenever anyone adds a new item to the database, or edits an existing one, the changes are immediately reflected on the webpage.